France's new president Emmanuel Macron has charted one of the most unlikely paths to presidency in modern history, from virtual unknown three years ago to leader with no established political party behind him. France's new president Emmanuel Macron has battled conventions and broken traditions. Paris, France: In his unorthodox private life and short political career, France's new president Emmanuel Macron has battled conventions and broken with traditions. The 39-year-old son of two doctors from the northeastern city of Amiens - set to be the youngest president in French history -- breaks the mould of a traditional French leader, apart from his elite education in some of the country's best universities. Firstly, he is married to his former teacher, glamorous 64-year-old Brigitte Trogneux, a divorced mother of three children whom he fell in love with as a schoolboy. Their relationship has been a subject of fascination, often encouraged by the media-savvy Macron, in French glossy magazines. He has also charted one of the most unlikely paths to the presidency in modern history, from virtual unknown three years ago to leader with no established political party behind him. The philosophy, literature and classical music lover launched his independent movement En Marche ("On The Move") only 12 months ago, which he said was "neither of the left nor the right". 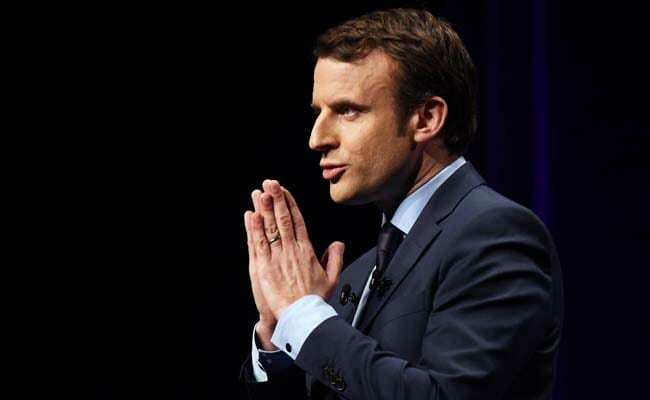 This unusual positioning for France, which has seen him borrow economic policies from the right coupled with social measures from the left, was initially met with cynicism. "There is a left and a right... and that's a good thing, that's how our democracy functions," ex-prime minister Manuel Valls said after En Marche launched. "It would be absurd to want to remove those differences." Others saw the ambitious former investment banker, who was then economy minister in Socialist President Francois Hollande's government, as too young and too inexperienced to have serious presidential ambitions. Few apart from his loyal core of advisors believed that he had the ability to triumph in 2017 at the age of 39, a year younger than Napoleon Bonaparte when he took power in 1804. But Macron pressed on, using his image as a dynamic young moderniser to draw in thousands of volunteers to En Marche, which was modelled partly on the grassroots movement of ex-US president Barack Obama in 2008. After resigning from his job as economy minister in August, he set about writing his pre-election book "Revolution" and then finally declared he was running for president on November 16. "We can't respond with the same men and the same ideas," he said at a jobs training centre in a gritty Parisian suburb. A giant meeting at a convention centre in southern Paris in December was an early warning to rivals -- and led to widespread mockery of Macron who ended the rally screaming, arms aloft, as he basked in the adoration. Since then, he has benefited from the woes of the Socialist party and a scandal that engulfed one-time favourite Francois Fillon from the rightwing Republicans party, the other mainstream force in French politics. Fillon was accused of paying his wife hundreds of thousands of euros from the public purse for a fake job as a parliamentary assistant -- allegations he denied but which sunk his campaign. 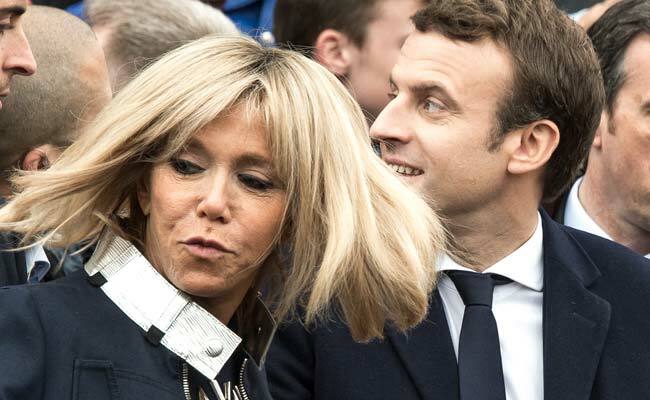 "He's been lucky," veteran political journalist Anne Fulda, who wrote a recent biography called "Emmanuel Macron, Such A Perfect Young Man", told AFP. "That's something that helped him considerably. The stars aligned." With frustration at France's political class running high, Macron was able to tap into a desire for wholesale change that also propelled his far-right rival Marine Le Pen into Sunday's run-off vote. As a student, Macron worked as an assistant to a famous French philosopher and followed a well-worn path through France's elite public universities including the ENA, which has groomed many leaders. After first working as a civil servant in the finance ministry, he then went into investment banking, where he earned millions at Rothschild putting together mergers and acquisitions. Opponents have targeted this period of his career as proof he is part of the "global capitalist elite". His self-assurance, expensive suits and defence of entrepreneurs has offered further ammunition. "I've spoken with hundreds of people and you can feel it in the air: you are already hated," one far-left critic, Francois Ruffin, wrote last week in an article in Le Monde newspaper. He is also frequently criticised for being too vague or intellectual in his speeches, which are often long and peppered with literary references or poetry. While at ease among ordinary voters, Macron has been accused of being condescending in the past, whether referring to "illiterate" abattoir workers, "alcoholic" laid-off workers or the "poor people" who travel on buses.